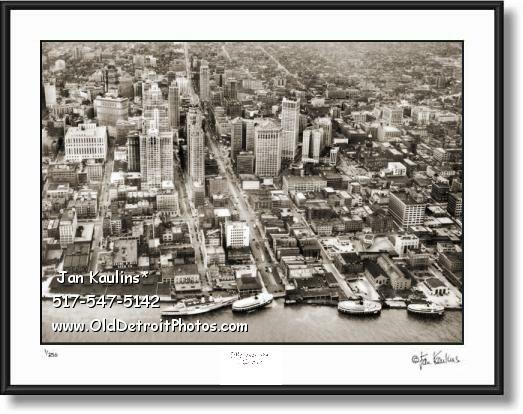 DETROIT SKYLINE photo picture Detroit Skyline photo print. 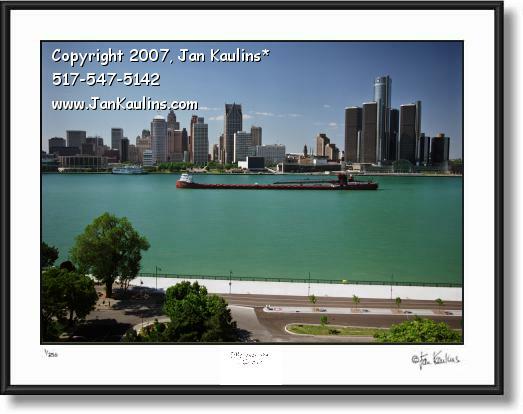 Detroit Skyline picture photo panorama, The Detroit Skyline art print photo for sale. 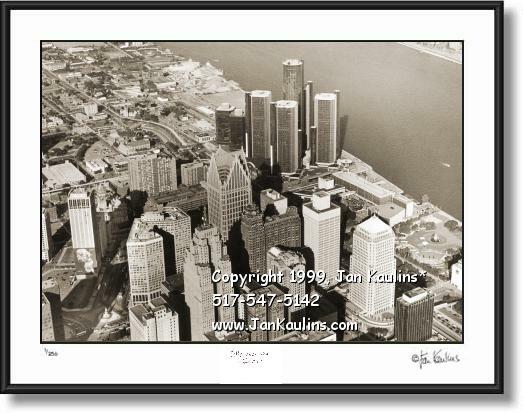 The Detroit skyline is featured in this Detroit Skyline Photo Picture Print Gallery. 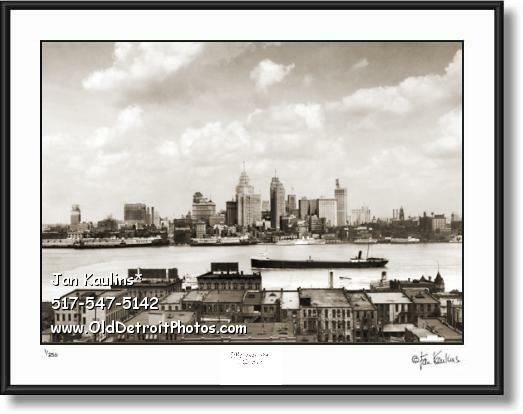 The Detroit Skyline Gallery consists of a series of original Detroit skyline photos--some being color Detroit skyline photos--some being hand colored black and white Detroit skyline photos, and some being sepia toned black and white Detroit skyline picture photograph prints for sale. 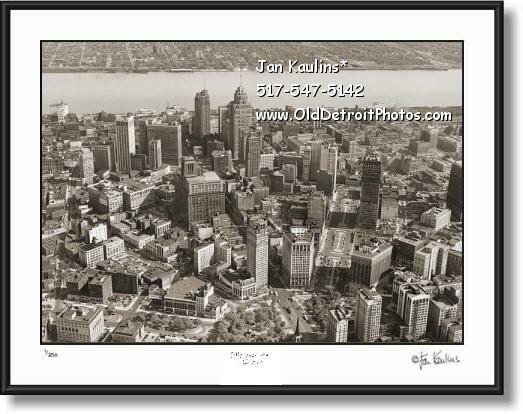 The top row on this webpage has the three color Detroit skyline photos. 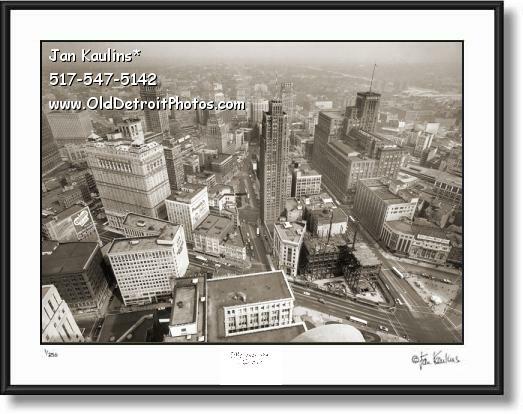 The middle row features the hand-colored black and white Detroit skyline photos, and the third row features the sepia tone Detroit skyline photos, the last image being a rare historical photo from the 1930's. 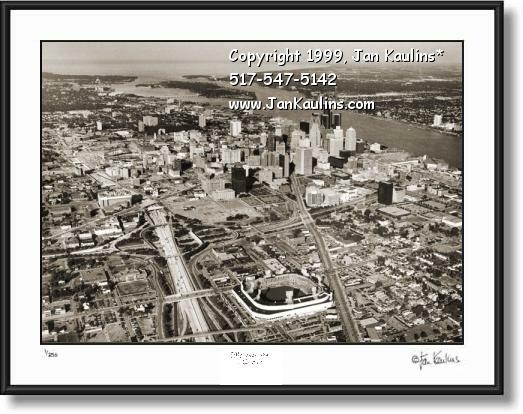 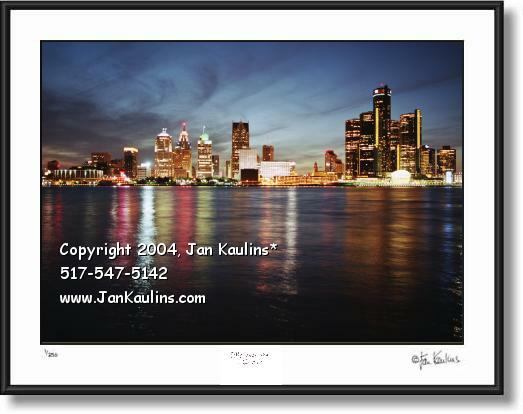 These professional copyrighted photos were taken by nationally recognized artist/photographer Mr. Jan Kaulins. 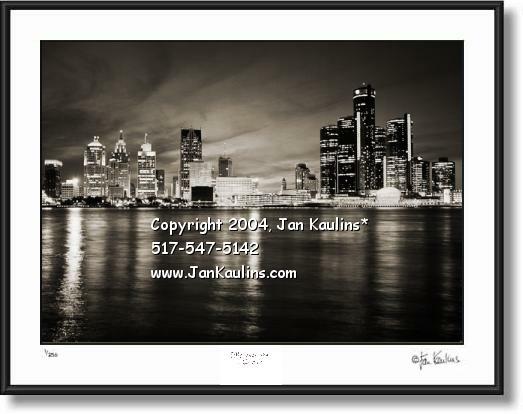 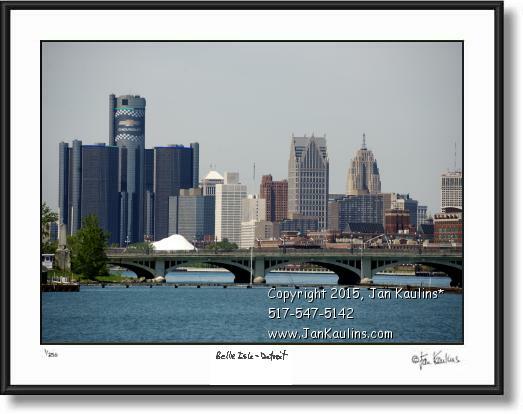 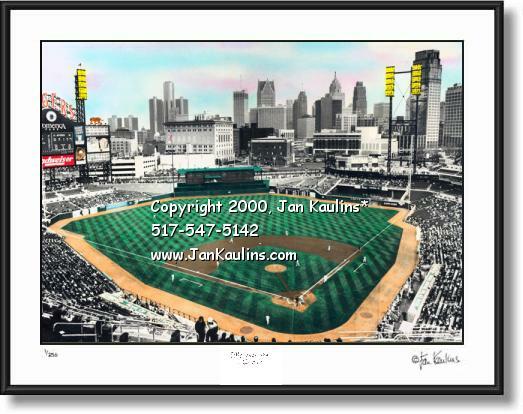 CLICK on any of The Detroit skyline photos to see what they look like larger as well as being matted and framed. 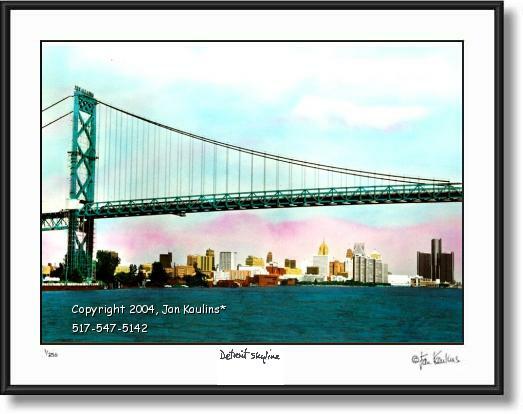 Click on the link below for prices, sizes available and ordering information.